Bubbles cannot be understood through traditional tools of financial analysis. A number of factors are interacting with each other that cause markets to fluctuate wildly from fundamentals. 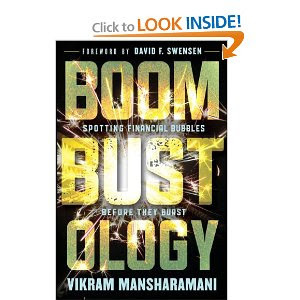 Mansharamani therefore advocates a multi-lens approach, to better understand bubbles. Each of the first five chapters covers one of the five lenses through which bubbles may be viewed. In the first chapter, the "micro-economic" lens is explored and described. Price tends to regulate markets in the micro-economy. When prices are higher than they should be, demand falls and supply increases, helping push prices towards some stable equilibrium state. Most of the time, this mechanism works because of the immense power of supply and demand, or as Adam Smith would call it, the invisible hand. But there are times when this system breaks down. For example, sometimes higher prices actually invite, rather than quell, demand. To understand this phenomenon, Mansharamani describes George Soros' theory of reflexivity. Under this theory, market observers are not simply observers of events, as their perceptions actually change reality. Reality and perception are constantly engaged in a dynamic, two-way feedback mechanism. A good example of this phenomenon in action occurs in the real estate industry. The reality may be that an increased willingness to lend is resulting in higher real estate demand, which leads to higher real estate prices. Perception, however, may be that some other reason is causing real estate prices to rise. This perception itself results in higher prices that in turn increase the willingness to lend. What follows is a situation where there is no equilibrium state, as prices start running on a course towards an unknown destination. Mansharamani concludes that most of the time, the supply/demand equilibrium model works in viewing systems from a micro-economic lens. But there are times when an asset's situation can best be understood from a reflexivity point of view. 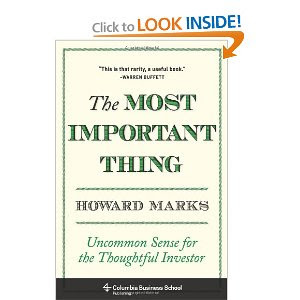 Value investor Howard Marks shares his investment philosophy in his book, The Most Important Thing: Uncommon Sense for the Thoughtful Investor. "This is that rarity, a useful book," according to Warren Buffett. Marks' estimated net worth is over $1 billion and his firm, Oaktree Capital, manages $80 billion. In these, the final chapters of the book, Marks discusses the issue of adding value. Since anyone can generate average market returns by simply buying a passive index, the goal of investing is to generate alpha, or a spread between your returns and the market's return. Marks discusses how a portfolio of volatile stocks can appear to be generating alpha when the market is doing well, but this is simply beta, and investors shouldn't confuse the two. The problem with beta is that if the market goes down, so will the highly volatile stocks; therefore, beta cannot generate outperformance. Marks reminds the investor that a year or two's worth of returns is not enough to determine if a manager has skill in outperforming the market. If the market had a good year, for example, it's possible that the manager was aggressively weighted towards riskier stocks. As such, his performance will tell you little about what may happen if the market were to collapse, as it does every so often. For his firm, Oaktree, Marks prefers a defensive strategy whereby the portfolio barely keeps up when times are good, but outperforms when the market does poorly. Marks recommends investors select stocks with the same strategy in mind. In the book's last chapter, Marks summarizes the lessons he has described in the book. He emphasizes employing a margin of safety, avoiding investing with the crowds, and knowing the value of what you have bought. Saj: Are gas prices maybe a little too high? Some beneficiaries have run out of things to do with their money. "Nothing quite says MINE like carving your name in your private island...The whole thing is so large that it's actually visible from space..."
Frank: Good thing his name is Hamad and not Ahmadinejad, or he'd run out of space. Saj: Or, he could just buy a bigger island. Frank: Much bigger islands aren't cheap! To scrape together that kind of cash, he'd need at least a few hundred thousand Hummers to fill up in the next year - oh wait, that's how many Hummers fill up every week in the USA alone! Saj: Well, maybe people are adjusting. According to this guy, "[Hummer] values are dwindling which will hopefully make their demand go down." Frank: Doesn't he have the direction of causation completely bass ackwards? Frank: Check this story out. Even though the wife wanted no part of the Madoff funds in the divorce settlement, the husband is coming after her for half of the money that was scammed! Saj: That seems fair. He chose to invest all of his financial assets post-divorce with Madoff, and now she should have to pay for it. Frank: This serves as a good lesson in diversification. Saj: Yes, diversification of spouses, or risk your only spouse being a total jerk! Frank: So Travelzoo fell 35% in one day this week, despite announcing revenue and income growth of 34% and 51%! Saj: I guess it's not a good idea to buy a stock at a P/B of 50? Frank: Only if its price to operating cash flow is less than 60...and Travelzoo's wasn't. Saj: But hey, it is now! Frank: What a steal...everyone who bought at a P/B of 50 must now love it at a P/B of 30! Saj: It's rare to see a value stock have such a ridiculous short interest, but check out hhgregg's short interest as a percentage of float: 67% !! Frank: Seriously, what gives? Is it some sort of Chinese fraud? Saj: "Muddy Waters reports hhgregg's supposed flagship store in Avon, Indiana is just an empty building." Frank: "The security guard spoke only broken English, but told us the store is simply closed for renovations in preparation for a massive back-to-school sale." Frank: Yet another city feels the need to subsidize a private business with taxpayer funds. "At least half the funding for the building will come from the public purse..."
Saj: Why only half? Billionaire sports team owners and their millionaire employees need our help! Frank: Incredibly, not only does the owner of the team want a new arena funded by the public, but he wants the city's existing arena shut down! "Katz [the owner] says the city has to exert some kind of influence on Northlands so they will agree not to compete with a new arena." Saj: Sounds like a great plan. Let's give him a publicly funded, private monopoly on all large city events. Surely reducing competition is great for the citizens! Frank: Socializing losses while privatizing gains...when has THAT ever been a problem? Contingent bonuses can be a great way to reward employees. But a poorly designed bonus structure can lead to disaster. As such, proper design of a compensation structure is imperative. But a flawless system is nearly impossible to design, as even the simplest of bonus structures can have less than ideal implications. Even a simple, innocent-looking bonus structure such as this one can have profound negative effects. For one thing, because the bonus is based on EBITDA, manager compensation is not hurt by depreciation charges. This could cause them to ratchet up capital expenditures (or re-classify current expenses to capital expenditures) with the intent of driving up EBITDA. Furthermore, because no considerations are given to ROIC metrics, management is hereby incented to borrow money to help increase EBITDA. Using leverage increases risk for shareholders, but because bonuses make no allowance for risk factors, management may find incurring debt to be of great help in financing assets that may help the company achieve higher profit levels. Finally, because of the step-up nature of the bonus escalations, one could end up in a situation where a higher EBITDA results in lower profit levels for shareholders. For example, if EBITDA before bonuses comes in at $559K, EBITDA after bonuses equals $475K. But if EBITDA before bonuses comes in higher, at say $560K, EBITDA after bonuses is actually lower than in the previous case by $20,000! In this case, shareholders are actually worse off as a result of a higher EBITDA number. Furthermore, near the edge of each EBITDA range, management is given an incentive to "manage" its reporting of expenses order to receive a windfall. Designing a bonus structure that perfectly aligns shareholders and managers is very difficult to achieve. The best investors can hope to do is own companies in which management is also heavily invested. This is likely the only way of truly aligning manager and shareholder interests. Marks finds it illustrative to use sports analogies to describe certain facets of investing. In professional tennis, for example, players are aggressive in that they win by going for winners i.e. they win with offense. Amateur tennis players, however, win by just keeping the ball in play and letting the opponent make a mistake i.e. they win by playing defensively. Investing is much more like amateur tennis, Marks argues. While professional tennis players can take certain actions that will result in a highly accurate and precise shot, investors are subject to a whole lot more randomness. A company can be affected by unforeseen forces from economic factors to new government rules to management actions to competitor activities, all of which make a "precise shot" extremely difficult. But most investors seem to be playing offense, picking their investments such that they will only work out if everything goes as planned. In other words, they go for homeruns. In Marks' experience, however, the careers of professional investors are remarkably short, considering investing is not physically demanding. He believes this is not due to a lack of homeruns, but an abundance of strikeouts. At Marks' firm, they win by avoiding losers, which is not the same as picking winners. Marks wants companies with margins of safety, so that even if things don't work out as planned, the investment won't be a loser. To continue the baseball analogy, he goes for batting average instead of homeruns. Marks also makes the point that making an investment because everyone believes something to be true is a very bad idea. Often, the fact that everyone believes something to be true can contribute to making it not true. For example, in 2007 (and the years leading up to it) everyone thought house prices could not go down. This in turn affected how conservative lenders and borrowers were with respect to leveraging residential real estate, which led to the downturn. As a result, it became more likely that house prices would go down because of the belief that house prices could not fall! Since we can't know the future, we should have a good understanding of the present. Marks is a proponent of "taking the market's temperature". If the market is too hot, investors (as contrarians) should be wary of entering and should seek to exit. If the market is cold, investors should look to jump in. Marks lists a number of signs investors should look for to gauge market sentiment. He uses some of these signs to show the market's "temperature" in 2007 before the crash. For example, there was a belief that real-estate prices could never fall, creditors were issuing record amounts of debt and demanding little in the way of spreads or security, and buyouts were being completed at higher and higher multiples of cash flow (higher than they were in 2001, for example). Marks also warns about the role of luck in investing, particularly in the short-term. You can't tell the difference between a good money manager and a poor one over short periods of time, because there is so much randomness in market prices over periods as long as years. Marks references Buffett's tale of the 2 million people who flipped coins, where after 15 flips, there were a number of people that had flipped 15 heads in a row. These people would write books about flipping techniques that others would lust after, even though it was all due to luck. Marks also frequently references the ideas espoused by the book Fooled by Randomness, which is summarized here. Investors who recognize that the future is difficult to predict will construct portfolios based on the present and knowable, whereas most investors have an idea of what the future will look like and construct their portfolios accordingly. Marks argues that the latter group is doomed to failure over the long-term, since the future is not knowable but a probability distribution. Those who construct their portfolios defensively with the understanding that if things don't go as planned they will still be okay, stand to outperform. Much has been made of the fact that this economic recovery has lost steam as of late. 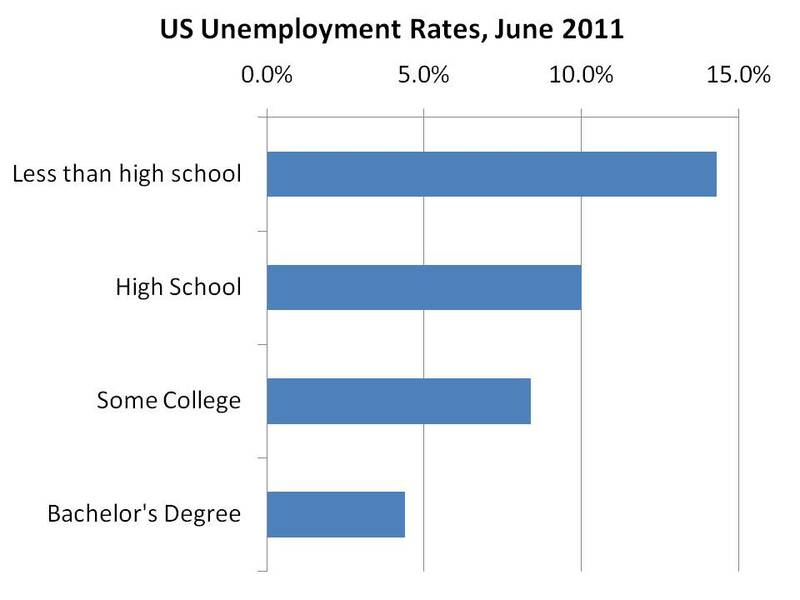 The US monthly jobs reports have not been encouraging, resulting in an unemployment rate that remains persistently high. But a major cause for this slow economy is the fact that, contrary to popular belief, reductions in government spending are a key reason for the growth slowdown. In 2010, the US federal government's deficit was actually $120 billion lower than it was in 2009. This represents almost 1% of US GDP; therefore, without this headwind, real US GDP growth for 2010 would likely have been higher than 2.9%, which is not enough to meaningfully reduce the unemployment rate. This is because population and productivity growth by themselves can usually be counted on to add 3% or so annually to real GDP, and so only by growing at more than 3% annually will the economy require the help of additional workers. That trend appears to have continued so far this year. Though real US GDP grew at an annualized rate of just 1.9% in the first quarter of 2011, it did so despite an 8.1% drop in federal government spending and a 4.2% drop in state and local government spending. Since government spending makes up around 20% of GDP, reductions of this nature have a significant effect on GDP. In other recessions, governments have been able to spend their way out of the economic malaise. For example, the increased spending required by World War II is largely credited with ending the Great Depression. Furthermore, government deficits increased in the three years that followed the recession of 2001, which helped the economy regain its footing. Today, however, debt levels are high by historical standards. This has reduced the political will to incur further deficits to spend our way out. As such, we should be prepared to incur lower GDP growth numbers for some time. There's no need to panic over this, as it is simply the result of our choice between robust growth and responsible debt management. Once deficits are reduced to what are perceived to be sustainable levels, the drag on the economy will no longer be present and a return to a better growth trajectory can resume. I originally wrote: UPG already had $11 million in debt against almost no cash, so this acquisition increases the investment's risk as it adds to the company's debt burden. To which the company responded: With regard to your concerns over acquisitions, the recent agreement to acquire PTI was done to expand an existing UPG business, and is expected to be accretive this year. While investors are naturally interested in how Company resources are invested and utilized, UPG’s management team has made it clear they intend to take a very conservative approach toward acquisitions, from both a business and financial perspective. Finally, the primary focus of UPG’s growth strategy is on organic growth, rather than growth through acquisitions. In terms of the Company’s debt levels, UPG typically does not maintain large idle cash balances, but instead uses its short-term credit lines with Wells Fargo to meet its working capital needs. UPG’s management works very closely with its bankers to ensure adequate availability of cash to fund operations. To which I asked: Seeing as how $3.3 million represents more than 20% of UPG's market cap, this is a material acquisition. As such, I was a bit surprised that Progressive's financials were not disclosed following completion of the deal. Would UPG be willing to post Progressive's balance sheet at the acquisition date, plus a couple of years worth of income and cash flow statements, so UPG shareholders have an idea of what was just purchased? To which the company responded: Although the purchase price is significant when compared with market capitalization, from a revenue perspective and when compared with UPG’s total asset base the purchase was not deemed to be material by UPG’s outside auditors or legal counsel. Given the size and competitive nature of the PTI’s business, we will not be disclosing detailed financial statements for PTI, as detailed information on margins and costs would place PTI and UPG at a competitive disadvantage compared with both private competitors and small divisions of much larger competitors, that are not required to disclose such information. I originally wrote:...[T]he company has never bought back shares nor paid a dividend, even though shares became very cheap in early 2009. To which the company responded:...[A]s a smaller, growing company, excess cash is primarily used to reinvest into the business, rather than paying dividends. Similarly, with a small market capitalization and limited public share float, share repurchases may prove more problematic as they would further reduce market cap and liquidity. To which I asked: I agree that a buyback or dividend may reduce UPG's market value and/or volume. But when the company trades at a fraction of its net current assets as it has for large parts of the last few years, wouldn't a share repurchase be very accretive to shareholders? Book value per share would rise significantly, even if the firm's market value were to fall...isn't that more important? To which the company responded: Like all companies, UPG faces a variety of investment choices and constraints on its investment resources. Currently at UPG, we are focused on growing our business, primarily organically, but also through very selective acquisitions. We believe that growing our business is the best way to create true wealth for all stakeholders, as we serve our customers with quality products, create jobs in the communities where we operate, and ultimately drive shareholder value. While it’s true that repurchasing shares would increase book value per share, in the last year, we generated $0.56 in earnings per share, which helped increased our book value per diluted share from $3.90 at March 31, 2010, to $4.48 at March 31, 2011, an increase of 14.9%. This would be the equivalent of repurchasing almost 645,000 shares, which is nearly 1/3 of UPG’s public float, all else being equal. Management and the Board will continue to evaluate all options for investing to create shareholder value, including investing in organic growth, appropriate acquisitions, dividends and share repurchases, but at the present time, share buybacks and dividends are not the highest priority. I originally wrote:...[T]he company recently passed a resolution to allow the Board to re-price options that have been paid out to executives and that are now underwater as the company's stock price has fallen. This is a sign that management wants all the rewards that come with good fortune, without any of the risk. To which the company responded: ...[I]t’s important to understand that this step was not taken lightly, but was deliberated by the Board for an extended period before putting it to a vote of shareholders. Unlike many companies that have re-priced options, UPG does not have a regular option program for management. In fact the only options issued to management were granted in 2006, just after the IPO with the stock trading at nearly $7. Since that time, the stock market and economy have gone through unprecedented changes, resulting in an overall decline in share price from the time the options were granted. If management was granted new options each year at the current market value, that would certainly have mitigated the motivational issues associated with the original grant. New options granted when the stock was $1, $2 or $3 per share would still be a strong performance motivator, even if the original options were still several dollars out of the money, but unfortunately that is not the case. Further, in their deliberations, the Board and management looked at the various options of re-pricing vs. issuing new options, and from a financial perspective, the cost of options expense was determined to be lower with the re-pricing. To which I asked: ...[W]ould the options have been re-priced upward (rather than downward, as they were) if the opposite market price action had occurred? To which the company responded: Your question is a good one, and as mentioned previously, there have not been regular annual grants of options to the senior leadership team at UPG. If there were, those subsequent options would have been granted at much lower strike prices over the last few years, or if the stock had increased significantly in price, at much higher strike prices. The fact that no options have been issued to management since the IPO in 2006 has been the main factor giving rise to the re-pricing of those options, and although shareholders authorized the Board to re-price those options, as of this date, no action has been taken to re-price them. To which I asked: In the same spirit of generosity, does the board have any plans to compensate shareholders who purchased at prices pre-collapse? To which the company responded: While we can understand the rationale of this question, it relates to two very different issues. The option program was adopted by UPG to provide a portion of employee compensation in the form of stock options, as well as a way of motivating employees. Having a management team and workforce motivated to perform and achieve revenue growth, control costs and ultimately generates higher profits to the benefit of all shareholders is essential to the long-term success of UPG. With the original options having a strike price so far from current market price, this plan was not accomplishing it’s purpose of motivating performance and providing a portion of compensation to employees, the Board’s actions served to correct this situation so the plan may accomplish these goals. I originally wrote: As the current CEO is just 38 years old, he likely attained his position with a little hard work and a whole lot of nepotism; his father-in-law is Chairman of the Board, with beneficial ownership of 45% of the company. To which the company responded:...[W]e have disclosed this relationship in UPG’s SEC filings, but it is certainly an issue that raises concerns among investors. I would point to a number of factors that suggest concerns over potential “nepotism” are misplaced. When Ian was elevated to the CEO position, he was named interim CEO, and his performance was subsequently evaluated by the entire board. Only after that interim period was Ian named permanent CEO with the approval of the entire Board. Second, I would also point out that Ian has been with UPG for more than 10 years, serving in a variety of roles, and was responsible for leading UPG through the IPO process. Finally, I would point to the Company’s performance since he took over as CEO. Despite the difficult economic environment, Ian has led UPG to new growth and record earnings, which benefits all shareholders regardless of the relationship between Ian and Mr. Tan. Do readers have an interest in seeing more "management response" posts such as this one from other companies that are discussed on this site, or would they prefer that managements' opinions be left to the companies' own releases? hhgregg (HGG) is a company that is growing quickly and profitably. But value investors don't like to pay for growth, since rosy expectations can result in an overpay. Fortunately for value investors, Mr. Market is pricing the value of hhgregg's growth at zero. Of course, growth of the sake of growth doesn't help investors. If a company is simply retaining its earnings and investing it in low-growth projects (e.g. a store with an ROA of 1%), it will show EPS growth but it is not benefiting shareholders. But that's not the kind of empty growth hhgregg is achieving. The company earns back the cash it invests in opening a new store in just three years, which has allowed hhgregg to generate a return on equity averaging over 20% over the last several years. And unlike a lot of other companies with high ROE, this company has room to grow. The electronics and appliance retailer has just 173 stores throughout the US, compared to Best Buy at 1340 and The Home Depot at around 2000. This year, hhgregg plans to grow its store footprint by 20% by entering the markets of Chicago, Miami and Pittsburgh for the first time. The share price has taken a beating over the last few months as hhgregg has seen double-digit declines in same-store sales. This is due to lower-than-expected consumer demand for 3D televisions and certain government stimulus effects from the prior year period that have expired. These temporary problems are potentially allowing shareholders the opportunity to buy a profitable franchise with strong growth opportunities at a P/E of less than 10. 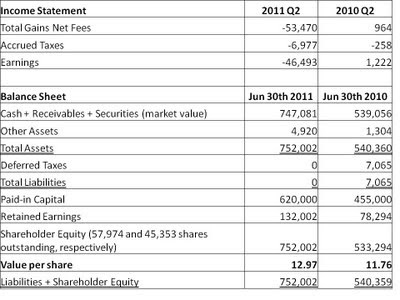 If you remove the company's cash balance from its market cap, HGG's P/E is less than 8. Management, itself heavily invested in the company's shares, also appears to believe the share price is undervalued. It recently initiated a $50 million buyback program (representing more than 10% of the company's current market cap), which is a rare thing to do for a company that needs cash to grow. Just a couple of years ago, the company actually issued shares to help fund its growth, at a time when the company's P/E was a couple times higher than it is now. Management appears to understand the vagaries of Mr. Market, which should serve value investors well. Paying a single-digit P/E for a well-managed company with profitable growth prospects is an opportunity most long-term oriented investors would jump at. hhgregg appears to offer just such an opportunity. In the latest jobs report out of the US, it was estimated that only 18,000 net jobs were created in the month of June, which is rather insignificant in comparison to the fourteen million people classified as unemployed. However, what these headline numbers fail to expose is that a number of US corporations wish to hire, but cannot find workers with the sufficient skills. I say the data does not prove a shortage of educated workers because some may argue that the educated workers are just better equipped to take the limited jobs that are out there, and so there is no shortage of workers at all. That conclusion is not borne out by the data, however. If the educated were simply taking jobs away from the uneducated, one would not expect to see the gap between the salaries of the educated and the uneducated continue to grow - but it has. Moreover, the average salary offered to current university graduates is around $48,000/year, which is well above median salary of the average worker with many years of experience. These companies are able to make products/services that the world desires, even through recessions. Because they are at the cutting-edge of their fields, they are able to provide value to their customers while at the same time generating hefty profit margins and investment returns. To continue to innovate and drive these returns, these and the plethora of other companies looking to grow to this size need educated workers, and they are willing to pay for them, as evidenced by their higher salaries and lower unemployment rates. To improve America's prosperity, the emphasis should be on increasing its number of educated workers, as there is a shortage. On the other hand, there is an oversupply of uneducated workers, not only in America but around the world. As a result, developing countries will continue to steal market share in the production of goods with low value-added. America's advantage is in its ability to innovate and contribute to the creation of the world's highest-priced goods, however, from PC chips to OS software to smartphone designs to web software to jet technology to medical/pharmaceutical research. To continue to supply the world with the most advanced products in the world, America's companies are starved for workers with the ability to contribute. Policies that increase the number of educated workers are what the country needs, as they would help shield the country from economic hardship. Patience is a virtue that will make you money in the market, according to Marks. He suggests avoiding having buy lists and chasing stocks or securities you would like to own. Just because you have a lot of cash does not mean you can create opportunities where there are none; doing this results in a race to chase yield, where investors bid up prices to such an extent that risk is too high. Instead, investors should let their buys come to them in the form of opportunities where sellers are dumping securities. Sellers can be dumping for all sorts of reasons. They can be down on a stock, they could be experiencing redemptions/withdrawals from clients, or they could be facing margin calls for securities they own that have fallen in price. Investors can find very attractive prices in such situations. Marks also advises that investors know what they don't know. It's not what you don't know that will get you in trouble, but what you think you know but don't. A big part of this has to do with the macroeconomic environment. Marks argues that no one can predict it consistently, and so investors should focus their time on things they can know better, like individual companies. Investing with the crowd is a sure way to lose money. If everyone thinks an investment is a bargain, then recent buying has been built into the price, in effect borrowing returns from the future. Investing with the crowd can thus generate returns for a while, but at the extremes (market highs and market lows) it will cost the investor. To be successful, investors must be contrarians. Simply investing against the crowd does not guarantee success, however. For one thing, just because something is overpriced does not mean it is going down tomorrow. Investors must be prepared to be wrong for years. To do that, they need a strong sense of the intrinsic value of the security in question. Anything less will result in a sale when the price moves further against them. Casual commitments to securities invites casual reversal when the psychological pressure is on. Even if a company performs well, it can still make for a lousy investment. This is because the price paid plays a massive role in determining whether an investment will work out or not. As the table shows, though hhgregg continues to grow its earnings as it adds stores and expands, its stock actually fell dramatically over this period. The stock fell much further than the stock of its competitors even though Best Buy and RadioShack have been struggling, posting declining net income. Why is this? Because of how high hhgregg's P/E was at the beginning of the period. Of course, this is just one example of low P/E versus high P/E investing. Nevertheless, it is consistent with research that suggests that stocks with the lowest P/E's outperform. In fact, research by David Dreman suggests that this performance difference based on P/E even occurs between firms in the same industry, as are the three stocks we have compared here. What's interesting now is the fact that hhgregg, which is aggressively growing its store count while maintaining solid returns on capital, has now become cheap. So while it didn't look like a great investment 6 months ago, it looks a lot more enticing today. The company hasn't changed much in the last six months. But more importantly, its price has, and that is what will play the dominant role in determining whether the investment works out. There appears to be a prevailing market belief that commodity prices can only rise over the next several years. Inelastic demand from developed countries and unremitting demand growth from emerging markets are the most commonly cited reasons for this. As a result, investors are putting companies in this space on a pedestal, taking recent earnings growth of such firms for granted. Value investors must be careful not to get caught up in this game of rising commodity prices leading to rising earnings expectations; it can result in portfolio disaster. Paulson Capital (PLCC) helps take small companies public, acts as a brokerage, and trades in securities for its own account. The company's investment account took a huge beating during the financial crisis (the company lost $17 million in 2008) but the stock price took an even bigger hit, as the company's market cap remains down 80% from its 2008 high. But while the company now trades for a paltry $7 million, it has current assets of $19 million against total liabilities of just $2 million. Current assets are mostly made up of a $7 million deposit it has made at its clearing organization (RBC Capital Markets) to facilitate principal trading, and securities held by the firm worth $9 million. Unfortunately, some of the securities held by the firm are not marketable. They may be debt or equity securities of private firms, or warrants to buy securities of firms Paulson has taken public. It's very difficult for outside investors to place any confidence in the value of such a portfolio. Fortunately, however, $5.6 million of Paulson's portfolio trades publicly. As such, the privately held securities/warrants and most of the public portfolio are basically thrown in for free to investors who buy in at current prices. Investors needn't be worried about a reckless management team destroying capital and thus endangering the apparent margin of safety, either. The company is still run by the man who founded it in 1970, Chester Paulson. Paulson owns 37% of the company, which serves to align his interests with those of shareholders. Unfortunately, a drawback of a small-cap with such large management ownership is a lack of liquidity for the company's shares. Some days, PLCC doesn't even trade, while even on the best of days only a few thousand shares exchange hands. This lack of liquidity combined with SEC buyback provisions is probably a major reason why the company is not buying back shares. The IPO market and trading conditions for US small-caps may be poor in the near future, causing Paulson Capital to break-even or even lose money in the coming quarters. However, when market sentiment does turn, the upside for this company is high. This is despite the fact that downside risk appears minimal due to the large discount to current assets at which this company trades. The Price to Book values of various stocks are discussed quite often on this site, but how useful a metric is it? From a logical standpoint, as a purchaser of a business (which is how value investors view all stock purchases), a prudent buyer ensures - barring certain exceptional circumstances - that he does not pay too much more for a company than the value of its assets. In this way, he receives downside protection to a certain extent. Though book value is not a perfect measure of the value of a company's net assets, it does provide at least some level of a proxy for it. This is why looking for companies with low debt and good liquidity among issues trading at discounts to their book values can present great investment opportunities, some of which are discussed here. Though market prices may be right "on average", this doesn't adequately describe investor sentiment at any one time. Marks describes investor sentiment as that mimicking a pendulum. While the pendulum may be in the middle "on average", it spends a lot of time moving away from the average toward the extremes. The pendulum swings describe the risk appetite of the market. When investors are greedy, they don't ask for much in return for the risk they take on. When investors are fearful, they avoid risk even when they are being paid handsomely to take it on. And yet mainstream finance argues that investor risk aversion is some constant presence. Marks then goes into a discussion about bubbles and crashes. He draws on a few other authors who have studied these phenomena, including John Kenneth Galbraith, who describes "the extreme brevity of the financial memory". When bubbles are forming, a number of human emotional traits take over to remove rationality. Investors drop their independence in the face of herd-like crowds (as demonstrated in the Asch experiments) and become part of the crowd. These end in crashes where many lose everything. To avoid falling prey to the same psychology as the market, Marks has a few recommendations for investors. First, they need a strongly held sense of the intrinsic value of every security in their portfolio. Then, they must insist on acting as they should; that is, they should buy as the price deviates significantly from intrinsic value. Investors should also have an understanding of past cycles and past pendulum swings, to have a long-term view of what may be occurring in the present. Finally, investors need to have a willingness to look wrong while the market goes from misvalued to even more misvalued. What makes the best managers great is their ability to reduce and manage risk. Over the course of most managers' careers, their results will not be determined by the winners, but rather by the number of losers and the magnitude of their losses. But investment managers are recognized for their returns. This is because risk is invisible to most; during good periods, it's difficult to tell whether someone is taking too much risk. Similarly, one cannot tell the difference between a responsible builder and one who cuts corners, until an earthquake hits that is. Marks urges investors to recognize that most things go in cycles. Trees do not grow into the sky, and neither do most things go to zero. But when a cycle is rising or falling, there will always be those who extrapolate a short-term trend into the future, and argue that "it's different this time". When this opinion becomes the consensus, this is usually a sign for investors that opportunity knocks, because assets are likely mispriced. For Marks, the credit cycle is one of the most important cycles. When times are good, capital providers compete for business and therefore don't demand great returns on their money. Eventually, terrible loans/investments are made and come crashing down. At the other end of the cycle, competition is low and therefore providers of capital are able to demand great returns. 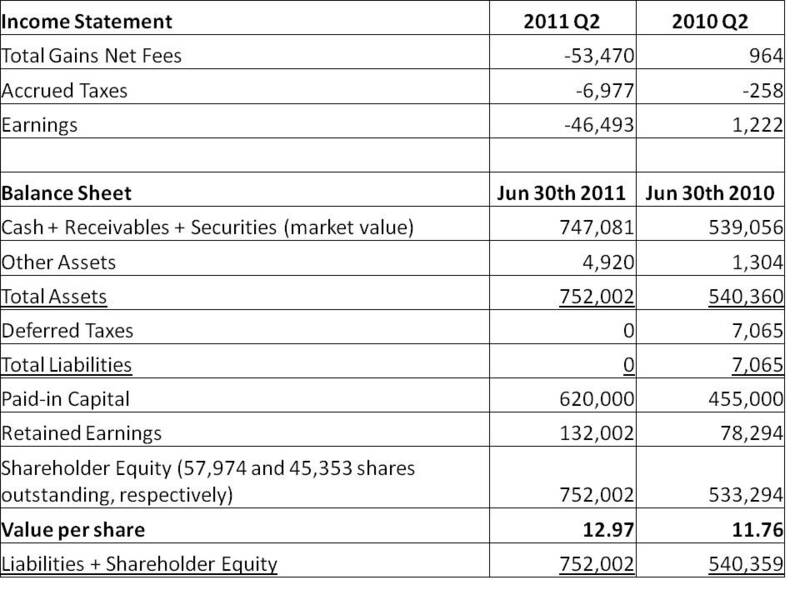 For the second quarter ended June 30th, 2011, KVF lost $0.80 per share, reducing the value of each share to $12.97. This was easily the worst quarter in the fund's young history. Though the broader market was generally down this quarter, KVF still under-performed most market indices over the last three months by somewhere between 200 and 500 bps, depending on the index chosen. The performance of the stocks held by KVF this quarter was actually worse than these headline numbers would indicate, however, as the fund began the quarter with a significant cash position. This cash position was built up through sales in previous quarters; the cash was not fully deployed due to the high market prices that resulted in a lack of high-conviction buying opportunities. This cash position served to reduce the amplitude of the fund's losses this quarter. The majority of stocks held by KVF fell this quarter, in varying degrees of magnitude. In most of these cases, the underlying companies generated positive cash flow and profits, and yet their prices still fell. The fund owns no companies with pie-in-the-sky valuations; it owns companies that are unfavoured and therefore trade at low prices relative to their assets and/or earnings. Unfavorable currency movements between the Canadian and US dollars had a minor effect on results. Had the USD/CAD exchange rate finished the quarter at the same level at which it started the quarter, earnings per share would have been $0.04 higher. Somewhat mitigating these negative results were strong, positive price movements in shares of H&R Block (spilling over from last quarter, discussed here), Jewett Cameron (discussed here), and KSW Inc. (discussed here), allowing the fund successful exits from each of these investments. KVF also exited its investment in Audiovox (with minor gains), for the reasons described here. In the world of investing, gains are not made consistently (i.e. in a straight line). There will always be quarters (and even years) such as this one, though that knowledge doesn't make losses any easier to stomach. The good news, however, is that as the prices of some assets (including assets the fund already owned as well as assets it did not) fell substantially this quarter, a large portion of the fund's aforementioned cash position was deployed towards buying securities at cheaper prices. (There was one exception to this, as the fund did exit one position this quarter due to deteriorating business conditions, in that of Orsus Xelent, as discussed here.) The vast majority of the securities owned by KVF are in companies with minimal debt and with positive earnings and cash flow. In the coming years, some of these investments will bear fruit because of their low current prices, while an adequate margin of safety hopefully protects the downside on those that don't. Aberdeen International (AAB) owns a myriad of public and private small-caps in the resource sector. The value of its portfolio has risen significantly over the last few years, as strong commodity prices have bolstered this sector. But Aberdeen's price has risen to the same height as its portfolio, creating a potential opportunity for value investors. While the company trades for just over $70 million, it has assets of almost $170 million (including its investment portfolio) against liabilities of just over $30 million. Included in the assets are $14 million of cash, and $86 million of publicly traded securities. The rest of the assets, including private securities, loans receivable and royalty interests booked at $100 million, are therefore thrown in free! There are, of course, risks with such a portfolio. Though the prevailing market wisdom is that commodity prices can only go up (e.g. due to never-ending demand from emerging markets), this could turn out to be false. Companies that are highly leveraged to the prices of commodities could see dramatic falls, and small-cap resource stocks fit this bill perfectly. If a company has no other operations but owns a property from which it can extract a resource for $X/unit (not an uncommon scenario for small-caps in this sector) and the commodity price falls below $X/unit, that company would lose a lot of value. For this reason, since commodity prices are volatile, one can expect resource stocks to be very volatile. As such, value investors should demand a massive margin of safety when investing in a portfolio of such stocks. This is particularly true considering the costs Aberdeen charges to manage this portfolio. The top three managers made a total of $6 million last year. (Recall that the company's market cap is just $70 million!) As such, the first few percentage points of returns on the portfolio are needed just to break even! And investors can forget about someone coming in to buy this company out at anywhere close to book value. The top three officers will receive awards of over $8 million if there is a change of control. Finally, there is $10 million in dispute between Aberdeen and a 3rd party. Aberdeen claims the money is owed to them, while the other company claims it is not. But Aberdeen includes the full $10 million on its balance sheet. Investors should be careful not to blindly include this amount in their valuations, as it may never arrive! One can make money by investing in companies at a discount to the assets the company owns. We saw this done successfully with Envoy Capital not long ago, and it is currently being attempted with Urbana Corp. as well. But to avoid risk of loss, one must try to ensure the assets can hold their values. In the small-cap resource sector, it's difficult to say with any certainty what an asset is worth. A lot of managers are unclear in communicating their stock buyback plans. They won't buy back shares, but nor will they tell shareholders that they have no intention of doing so. Shareholders are left holding the bag, wondering if management is being shareholder friendly or just pretending to be so. At the other end of the spectrum, however, are managers that are clear about their buyback intentions; these can generate extraordinary returns for shareholders. Consider Urbana Corp (URB), an investor in securities exchanges around the world. Urbana has been previously discussed as a potential value investment on this site. At the time, its price tag seemed rather elevated. But since then, it has come down significantly. It is now at the point where once again the stock trades at a significant discount to the company's net assets, which are mostly comprised of publicly-traded exchanges such as the NYSE and CBOE. Because of the large discount, management has bought back 10% of its shares. The company's cash position isn't large, so to effect the buyback program, management has shown a willingness to go so far as to liquidate net assets to some extent. If it weren't for certain regulatory restrictions on buybacks, it's likely that even more shares would have been repurchased. Furthermore, the company's #1 goal for the coming year is to "Narrow the price/asset share discount or use it to redeem additional 'A' shares." This situation is reminiscent of the one we saw with Quest Capital, where management was very clear that as its portfolio converted to cash, it would seek to buy back shares to eliminate its discount to book value. That situation rewarded shareholders with strong returns, and hopefully this one is no different. The stock exchanges are littered with companies with director authorizations for buybacks that go unutilized, even when said companies trade at massive discounts to liquid assets. This lack of communication does a disservice to shareholders. But when a management team is clear about its intentions and can be seen carrying through on them, shareholders can find themselves in a great position to achieve abnormal returns. Because investment returns are based on events that will take place in the future, risk in investing is inescapable, according to Marks. Furthermore, an understanding of risk is essential. Simply looking at a manager's returns does not tell you how much risk was employed in generating those returns, but an understanding of the risk employed is essential in ascertaining whether the manager is indeed skilled. Conventional market theory asserts that high risk results in high returns. While Marks agrees that investors need to be compensated for taking on more risk, there are several problems with how conventional theory views this point. First, the definition of risk is considered to be price volatility by conventional theorists. Marks rejects this definition. He argues that it is convenient to use volatility as the measure of risk, but that risk of loss of capital is what risk really is. By this definition, however, risk is not measurable. Instead, risk is subjective, hidden and unquantifiable. As such, it can't be computerized, as the output would only be as good as the inputs and assumptions relied on. Marks argues, therefore, that only sophisticated, experienced, second-level thinkers can properly evaluate risk. Risk can't even be analyzed in retrospect. Just because an investment worked out (or didn't), doesn't mean the risk warranted (or didn't warrant) the investment in the first place. There is only one history, but there were many possibilities that could have occurred but didn't due to chance. Marks argues that risk is highest when it's perceived to be low. The low perception of risk leads to high prices, and it is high prices that lead to risk. Many investors associate risk with the quality of the asset, when it actually has to do with the price paid for the asset. At some point, even a low quality asset can have low risk when the price paid is very low. In these two chapters, Marks discusses what he believes to be the only market philosophy that works that doesn't require luck: purchasing below intrinsic value and selling higher than the purchase price. Technical analysis involves studying past price movements in order to determine future price movements. Marks doesn't believe technical analysis works, and refers to some texts that have proven this. Momentum investing can work for a while, but it only works until it doesn't. This leaves the investor susceptible to holding the bag when the party ends, which can result in big losses. When it comes to fundamental investing, Marks distinguishes growth from value investing. Too much of growth investing is based on a very uncertain future, and so he prefers the consistency delivered by value. He does concede, however, that correct prediction of growth (e.g. identifying the company that invents the next blockbuster drug) should lead to returns superior to those delivered from value investing; unfortunately, correctly predicting growth is difficult. In Marks' opinion, therefore, investors should always compare value to price. Any asset, no matter how terrific, can trade at a price that is too high. For example, the Nifty Fifty were all great companies, but some investors in them lost 90% of their investment because they paid way too high a price. At the same time, even a poor asset can be worth buying at some low price. The trick in all this is an understanding of market psychology. Marks argues that psychology is more important than economics or accounting for investors. Investors must be able to resist the urge to buy a stock that has risen and avoid a stock that has fallen. After purchasing a stock, it can still fall further. In this case, "being too far ahead of your time is indistinguishable from being wrong". In such cases, investors must be able to hold onto their convictions if they are right (and the market is wrong) without holding on too strong to a belief that may be erroneous, which isn't easy. According to Marks, investing is more art than it is science. As such, successful investors aren't the ones with the fastest computers or the quickest trigger fingers, but rather those with superior insight. Marks calls this "second-level thinking". For example, first-level thinking may say: "The sector is strengthening, therefore this stock will go up." Second-level thinking goes beyond what is already out there. Second-level thinkers may say: "The sector is expected to go up and therefore the stock price is high; time to sell." Many aspects of second-level thinking can't be taught, Marks argues. As in basketball, you can't coach height. Therefore, even most of those exposed to world-class educations in economics and accounting will be limited by a lack of insight that relegates them from being superior investors. To beat the market, one has to not only have non-consensus views, but be correct about them more often than not. This is very difficult. On efficient markets, Marks does concede that many asset classes are efficiently priced most of the time. He discusses some criteria that lead to the relative pricing efficiency or inefficiency of assets/sectors. But in many cases, prices are not efficient. They may react quickly to news, but that doesn't mean the consensus price reaction was correct in direction and magnitude. For example, Yahoo traded at $237 in January of 2000 and $11 in April of 2001; the market could not have been right about the price in both cases. The fact that there is some inefficiency offers investors the chance to both win or lose in the market. The fact that investors can lose from an inefficient market is often neglected. Those with superior insight can beat the market, but there will be losers in this zero-sum game. It may seem like Company B is more desirable. After all, who wouldn't want to own $20,000 worth of assets rather than $5000? But actually, if you believe in the growth prospects of this industry, Company A is the better investment! It comes down to "return on assets" (which is sometimes substituted for it's cousin, return on invested capital), which is a measure of what kind of return an investor gets on his money.